College can be some of the best years of your life. Don’t want to miss out on anything? Add these ideas to your bucket list to make memories that will last a lifetime. Between classes and studying, it can be hard to remember to take a breath and enjoy the moment. Here are some ideas on how to make the most of your time outside the classroom. Buy an Instant Camera - Remember all your favorite experiences during college by taking pictures with this retro camera. The film provides the perfect nostalgic vibe for reminiscing on great memories. Participate in a Campus Tradition - Whether it is taking a nap on a library couch or attending an a cappella performance, every college offers traditions to make each student’s experience unique. Take a Picture with Your School Mascot - Snapping a picture with your school’s representative might as well be a rite of passage! After all, did you really go to college if you don’t have a picture with the school mascot to prove it? Spend Time with Friends - Go to a movie, check out a new restaurant, or attend a concert to enjoy a fun night out with friends. Watch an Entire Season, in One Sitting - While your studies should be a top priority, sometimes a study break spent streaming your favorite show is required to de-stress. Become a Foodie - Venture out to a variety of local restaurants in your college town or take advantage of your school’s dining hall choices to experiment with different cuisines. Genius Tip: Check out these 30 healthy college snacks to stay on top of creative and nutritious food choices. Treat Yourself - College can be tough, so show some self-love by treating yourself every once in a while for all that hard work. It can be a shopping spree, time spent in nature or ice cream after a hard exam. Step Out of Your Comfort Zone - Learn to put yourself into challenging situations and lean on your network of people who are there to help. This will pay off in the long run when you have the resilience to handle scenarios in the real world. Learn How to Cook - There’s no better time to develop some serious skills in the kitchen then when you’re trying to feed yourself and save money at the same time. Try going to the grocery store with only $20 in cash to help prevent going over budget. Picnic on the Quad - Gather your friends and organize a simple and easy picnic to spread out on the quad. The better the weather, the better the experience! College can include a lot of fun and games, but make sure to take some time to invest in your future. You’ll thank yourself later! Pull an All-Nighter - There’s nothing quite like the quintessential college experience of spending a night in the library. Just remember, stay hydrated and reward yourself with snacks for getting through tough material. And make sure to catch up on that sleep! Unplug for a Day - Spend time away from electronics to hit the refresh button and invest in quality conversations with friends. Learn a New Language - Dive into a new culture by learning how to speak their language. If you decide to study abroad, this skill will be invaluable. Build Your Resume - Take advantage of the opportunities and resources at your university and start building your resume to send to future employers. You could start with anything from finding a job you eventually want to apply for to taking a skills workshop. Remember, every little bit helps! Get Coffee with a Professor - Meet outside of class for coffee with your professor to get valuable life advice from someone who may have connections in your field of interest. It also lets them put a face to your name, which will definitely help in class. Apply for Your Dream Internship - There’s no better time to start planning for your future than in college. Reach out to anybody and everybody and aim high to find your dream internship. You will never know if it is right for you if you don’t apply, so give it a try! Attend Office Hours - Use this time to ask your professor questions you may have and clarify topics that were discussed in class. When it comes time to study for the exam, you will already have set yourself up for success. Network, Network, Network - It’s not what you know, but who you know. Attend any and every seminar in order to meet professionals in the industry you are interested in, to help you get a leg up when searching for internships and jobs. Enroll in a Random Class - Choose a topic you know nothing about but are interested in just to see what your University has to offer. If you are worried about it affecting your GPA, just take the class pass/fail and enjoy the material. Pick a Pen Pal - Talk to a family member or a friend at a different university and agree to write them as pen pals. This is a great way to keep in touch with those you care about and have someone to talk to when you need to escape college life for a bit. Colleges offer endless athletic opportunities and numerous ways to have fun with friends at the gym and sporting events. Getting in shape and feeling better is an added bonus! Take Advantage of Campus Rec - Turn that free gym membership into something that motivates you to better yourself and your body. Recruit friends to go with you and have fun while you work out. Attend a School Sporting Event - Show your support for your university and your fellow students by attending a sports game decked out in school gear. If you want to go even further, try going to a sporting event you’ve never been to and experience how it’s played. Run a 5k - Participate in an event where you can get in some exercise and support a great cause. You can find these through Greek events or by looking up community events. Join an Intramural - Gather your friends and form a team to see if you’ve got what it takes to be the champ. Explore sports like quidditch, inner tube water polo and battleship to have a blast. Get on TV - If you’ve ever wondered when your time to shine on TV is, it’s at a college sports game! Show your school spirit to your parents and everyone watching the game by cheering for your team and capturing the camera’s attention. Go on a Hike - Take a study break with mother nature and explore what the outdoors has to offer. A change of setting from the library and the physical activity can do your brain some good. Join a Club Team - Ever want to continue playing your favorite sport without the commitment of being a college athlete? Play on a club team to meet new people with common interests and continue playing the sport you love. Host a Tailgate - Hot dogs, burgers, and baked beans galore. Nothing beats game day festivities like a tailgate filled with friends, family and food. Genius Tip: Organize your own game plan with these 50 simple tailgate foods. Catch a T-Shirt - You’re at a game and a T-shirt is coming your way… don’t miss your chance! Show off your athletic ability and secure a new piece of merchandise by grabbing a shirt as it is thrown into the crowd at a game. Take a Group Exercise Class - Get your blood pumping with one of the many classes offered by campus recreation or a local gym. Your peers and the instructor will help motivate you to put in the work to be the best version of yourself. When you’re passionate about something, getting involved is a great way to explore your interest and make lasting connections. Get involved early so you can leave your mark and make a difference in the community. Join a Club - Meet new people and dive into interesting topics by joining a club. You never know what you might find at your school’s club fair that piques your interest! Go Greek - Sororities and fraternities are a great way to make new friends and get involved in giving back to the community. 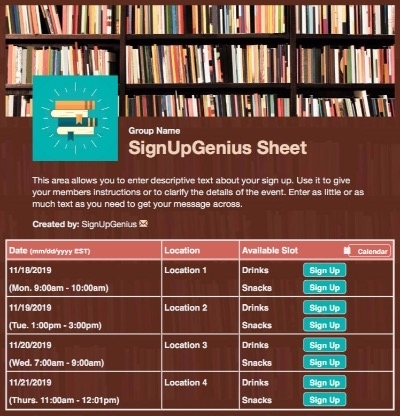 Genius Tip: Already in a sorority and want to welcome new members in style? Check out these bid day themes and ideas. Discover a New Culture - Colleges and universities are a welcome ground for many different cultures to come together. Attend different events and immerse yourself in learning something new. Sign Up to Volunteer - Participate in volunteer opportunities to give back to the community. Potential jobs are endless and include volunteering at animal shelters, sports events, soup kitchens and local schools. Genius Tip: Get started with these community service project ideas for college students. Get a Job on Campus - Libraries, campus recreation and school stores are all looking to hire throughout the school year. As a student, the extra cash is always helpful. Join Student Government - Even if you aren’t interested in a career in politics, it is always an honor to represent the student body and develop leadership skills that will help you make educated decisions even after college. Apply to be a Tour Guide - Show off what your campus has to offer to potential new students by being one of the faces of the university. Become a Campus Rep - Research companies you are interested in and apply to be a campus representative. Not only do you get free merchandise, but your friends get awesome discounts. 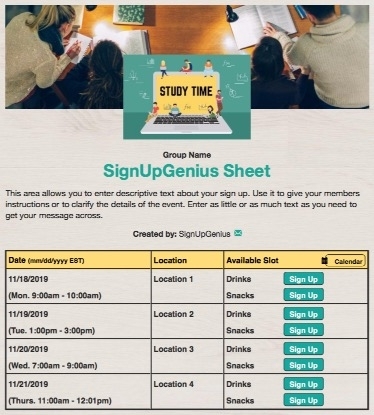 Create a Study Group - Reach out to fellow classmates you may not otherwise meet and form study groups for your classes. Genius Tip: Try these top 10 study tips for college success to help you master the material for your next exam. Fundraise for a Charity - Find a local connection and raise money for a cause close to your heart to make an impact in the community. College is a time for personal growth and learning important skills. There’s no better way to do that than by traveling. Organize a Road Trip - Pile in a car with your closest friends and take a trip to the mountains, beach or lake. It is hard not to have fun when you’re surrounded by people you love. Visit a Friend - As the saying goes, high school never dies! Visiting old friends at their university can be one of the most fun experiences of college. While you may end up in rival territory, fly under the radar and see what a new campus has to offer. Study Abroad - Pick a country that you have always wanted to go to and look into studying abroad. It may seem scary, but a new setting creates room to grow individually and develop life skills while learning about a new culture. Explore a Big City - Find the closest city to your university and take a day to explore its charm. You may find the perfect weekend study spot at a local coffee shop. Attend a Concert - Be on the lookout for your favorite artist traveling your way on tour. It might require some budgeting, but treat yourself when they come to a city near you. Traverse the Closest National Park - Put down your textbook and computer to explore one of the treasures of Mother Nature. The fresh air will clear your mind and help push the reset button. Take a Friend Home for the Holidays - Nobody should stay in the dorms over the holidays. Reach out to an out-of-state student who can’t travel home and invite them to spend a holiday with you and your family. It may seem like a simple gesture, but they will remember it forever! Plan an Epic Spring Break - Start planning early to book a hotel and organize activities to save the most money on a destination trip with friends. Coast-to-Coast Trip - Have some time over winter break or after spring exams end but before your internship starts? Organize a trip with your college besties that takes you across the states from east coast to west coast or vice versa. Plan stops so you can see the best destinations in each state you travel through. Experience a Music Festival - Whether its Coachella, Bonnaroo, Lollapalooza or a smaller music festival, these performances are a once in a lifetime opportunity to see awesome lineups of the most popular artists. With these bucket list ideas in your planner, you are bound to experience the best of college and make incredible friends and memories that will last long after college is over. 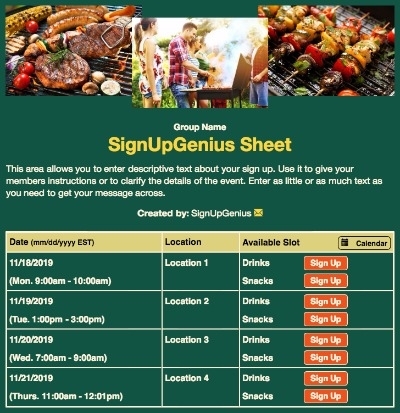 Organize a community service day for your club with a sign up.